FREE workshop for small businesses who have a Facebook Business Page and want to optimise it with hands-on support from a Business Advisor. 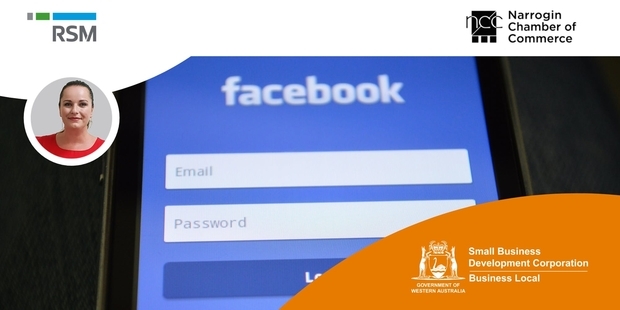 Bring your laptop and work through Facebook for business in a relaxed class environment. Get tips on optimum Page set-up and ongoing engagement to maximise your reach and attract new clients and customers. 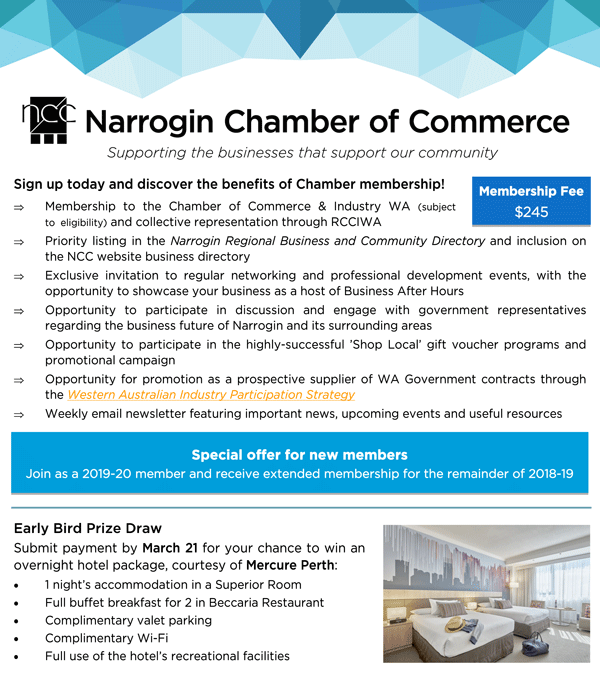 Presented by RSM Business Local in partnership with Narrogin Chamber of Commerce. Presenter: RSM Business Local advisor, Navah Kerr is an award winning sales and customer service manager, who has operated small businesses in a number of Regional towns including a homewares and gift shop in York that she has been running for 2 years. Navah has a great understanding of the challenges which are faced in the Wheatbelt.